Messy with its morals and empty beyond its shock value, "Deadly Class" is a high-school nightmare. “Deadly Class” starts with a teacher whipping his cane into the face of a young girl. Surprised, but silent, tears rolling down her face, the teenage student stares at the blood pouring from her nose, as the rest of the class reacts in peculiar fashion. Marcus (Benjamin Wadsworth), the audience’s stand-in, is stunned. He gasps and stares in stupefied horror while his indifferent teacher continues the lesson, as if he didn’t just physically assault a student. But the rest of the class doesn’t flinch. 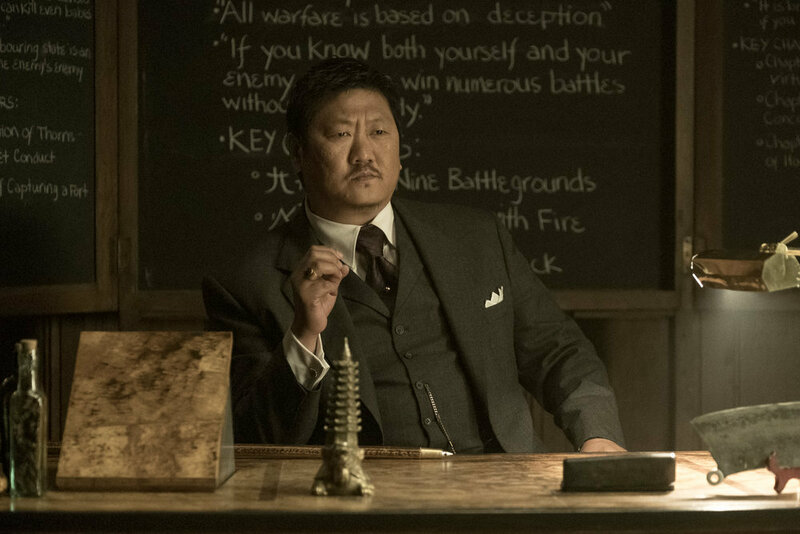 They sit and listen more dutifully than if Master Lin (Benedict Wong) had taken away her cell phone. A boy in the front row casually looks over his shoulder for an uncaring glance at the aftermath. Someone even laughs. Responses to the new Syfy series will probably be similar. Some viewers may feel like they just got slapped in the face by Rick Remender and Miles Orion Feldsott’s adaptation of the former’s graphic novel. Others will shrug and continue bingeing, hoping for an episode that pulls all the big ideas together. Maybe one out of every 10 will laugh at the blacker-than-black humor, but “Deadly Class” never coalesces into a coherent message around all the shock and awe. It’s a nasty experience. Our sweaty, narrating hero is Marcus, a homeless teenager trying to evade capture for a slew of murders he didn’t commit. But it’s not just the cops who want him. Marcus is recruited by Kings Dominion, an elite private academy where criminals’ kids are sent to learn the ruthless ways of their parents’ businesses. Populated by the offspring of every baddie imaginable — from L.A. gang disciples and cartel kiddos, to Yakuzas in training and Nazi progeny — the school has a few rules (like, “Don’t kill the other kids”) but assignments are aptly, ahem, deadly. Marcus knows he’s not a killer, even though they think he’s one of the best, so he tries to seek out like-minded friends for protection. Still, plopped down among the skater punks and goth introverts of its ’80s backdrop, it’s hard to tell who’s really bad and who’s only bad enough to fake it. Maybe he should write off Maria (Maria Gabriela de Faria), the Nazi chick who keeps hitting on him — even though her boyfriend is the son of a drug lord — but, you know, Marcus likes her. He also likes Saya (Lana Condor), who enjoys slicing people up with a katana as much as she’s hooked on stringing Marcus along. He finds a few more trustworthy confidants among his fellow boys, but the school is a de facto torture chamber. Kids are poisoned during classes on studying poisons. Detention comes with two masked men hunting you down for sport. Mouse traps that cut to the bone are pranks. The environment excessively captures the painful experience of adolescence, especially when framed through the modern view of Reaganomics and the period-appropriate Cold War anxiety, but the first four hours are merciless and uncomfortable. You’ll be begging for a recess that never comes. Marcus and his few friends aren’t empathetic heroes stuck in a bad place. They’re oversimplified caricatures of prototypical teens offering viewers zero reasons to get attached and little insight in exchange for their bleak, flawed views on how to balance world power. Getting back to that opening — you know, where the girl gets stricken bloody by her teacher — the point of Master Lin’s lesson comes down to one line: “Character is revealed through choice.” He asks the class if they could get away with murdering someone, who would it be? Whoever they pick exposes who they really are, in that it reveals their deepest, darkest motives. It’s a dark question emphasized by the young woman’s gut-churning reaction to being beaten: She turns to Marcus and smiles, licking the blood from her lips. Of course, the proper answer — according to any of Chidi’s moral philosophy role models — is no one. You wouldn’t kill anyone, and “Deadly Class” might be taking a circuitous route to that point, but the majority of this road trip is spent illustrating a nasty metaphor about just how hard the world is on kids. Or, it’s really obsessed with hurting teens. Or maybe it’s just confused. The series repeatedly asks its audience to rationalize murder. It weighs the value of human life in summary judgments doled out by anyone willing to act. Episodes reframe those decisions, but without definitive emphasis. At best, it’s a murky portrait of extreme ideas. At worst, it’s irresponsible. Odds are high it’s all of the above, but even if you settle on one interpretation of Syfy’s series, there’s no fun to be had here. The first four episodes are cloaked in darkness, blood, poison, vomit, sexual innuendos, a lot of very bad people, and people who are meant to be good but must pretend to be bad to fit in. High school may have felt like a never-ending hellscape to many, but “Deadly Class” gives little motivation to watch by making onlookers experience the unpleasantness all over again. 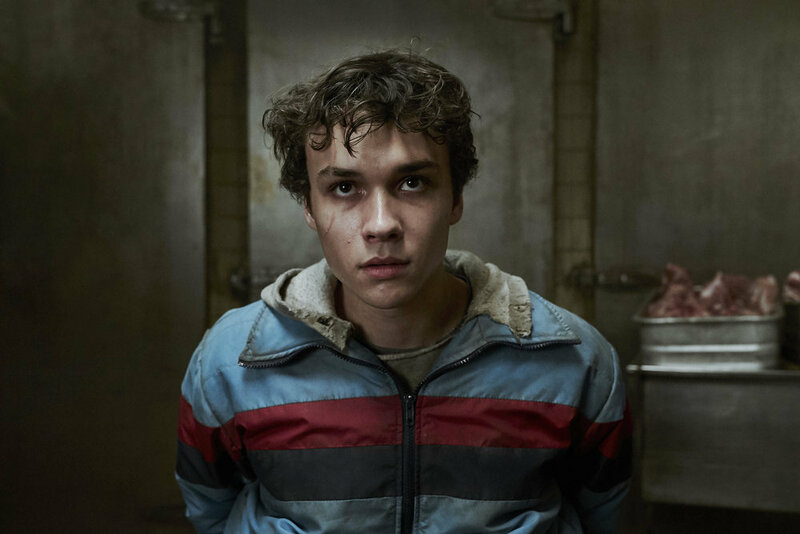 “Deadly Class” premieres Wednesday, January 16 at 10 p.m. ET on Syfy.